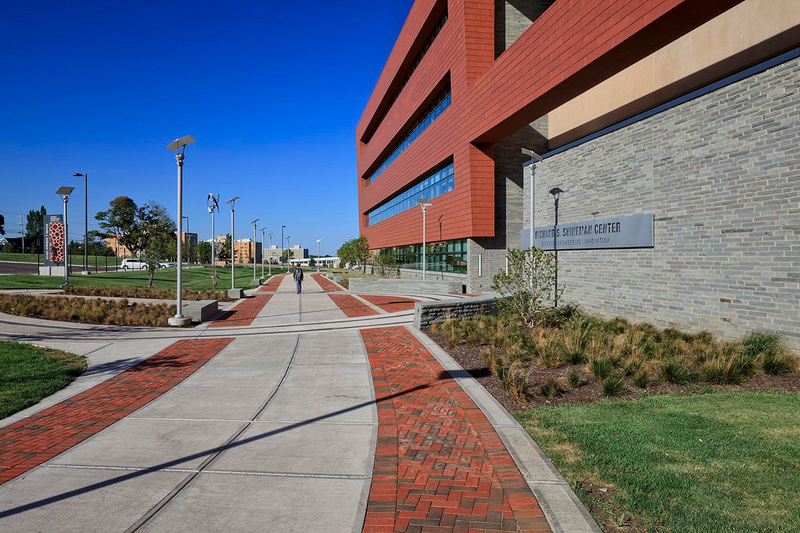 The Richard S. Shineman Center for Science, Engineering & Innovation is situated between the recently redeveloped Swetman and Poucher Halls and the School of Education at the State University of New York at Oswego. 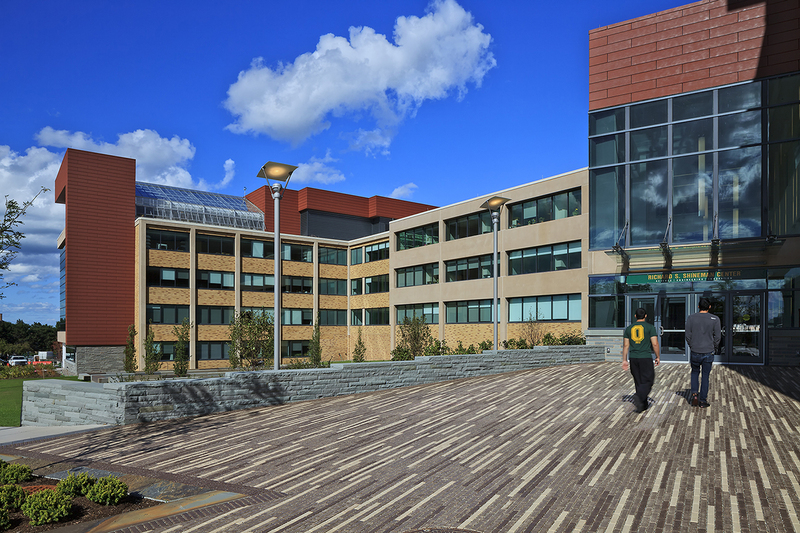 Taken together these projects have redefined a large segment of the academic campus at SUNY Oswego known as the East Campus. TWMLA worked closely with the project team to develop an overall 60-acre conceptual development plan and multi-phase implementation strategy for the Shineman Center. The extension of the pedestrian spine is the primary feature and defining element of the East Campus. 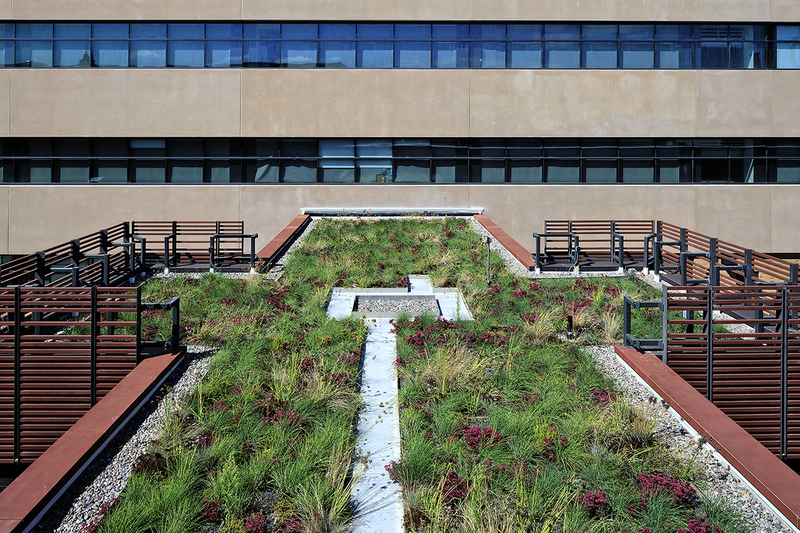 The project also features linear rain gardens constructed from sawn bluestone, a series of educational stormwater biofiltration gardens, two extensive green roofs, and a central plaza and gathering space with porous pavers over structural soil planted with shade trees. As part of New York State’s commitment to sustainability and aligned with the ideals of the client (a signatory of the American College and University Presidents’ Climate Commitment), the project is designed to achieve LEED Gold certification. 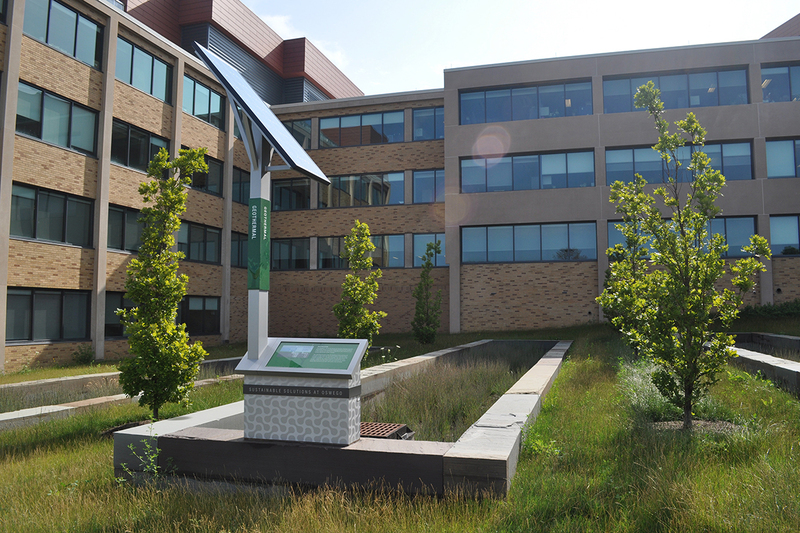 Contributing to this effort, the project achieved LEED innovation in design credit through a Green Education Program. The program is intended to demonstrate how the Shineman Center supports the school’s commitment to sustainable education and design through an educational outreach program that extends beyond the immediate function of the center into the SUNY Oswego community. 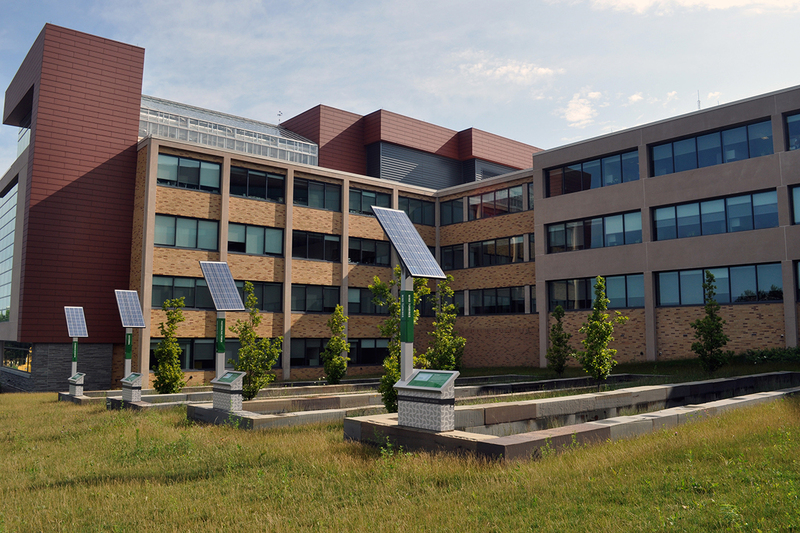 The program utilizes a project website, sustainability course and curriculum offered by the college, as well as an environmental graphics and signage program to highlight some of the prominent green infrastructure such as: a demonstration wind turbine, stormwater bioretention and infiltration practices, photovoltaic panels, green roofs and commuter friendly options such as bike racks. The project also included electric car parking and charging stations.